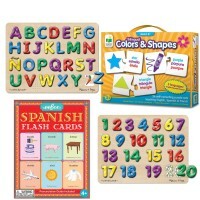 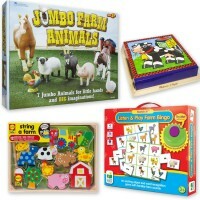 Timely and popular subjects are realistically represented in these beautifully illustrated wooden jigsaw puzzles. 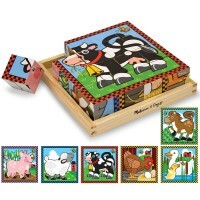 Each puzzle has solid wood pieces that easily interlock and fit neatly into a solid wood tray. 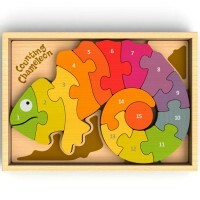 Learn all about undersea life while creating this fun and easy to assemble puzzle! 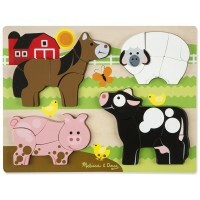 The puzzle consists of a puzzle background, where kids can attach the wooden pieces, and create a picture with they're imagination. 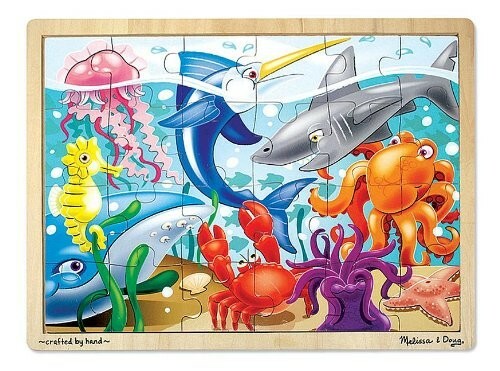 Look at the life of sharks, crabs, and octopuses, in this sea life puzzle. 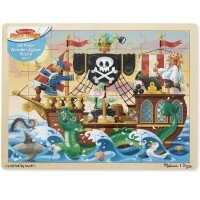 Under the Sea is a colorful, playful 24 piece jigsaw puzzle by Melissa & Doug. 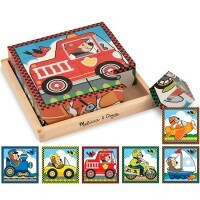 It comes in wooden storage tray. 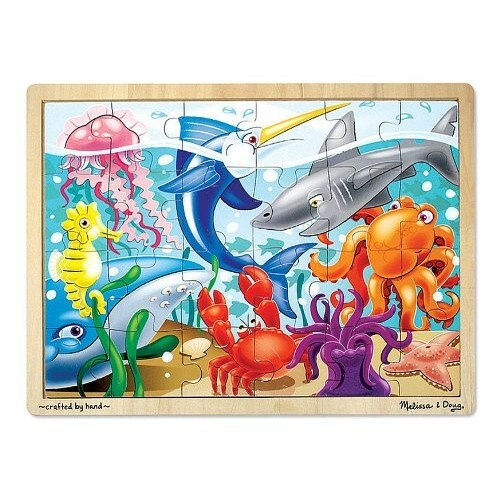 Dimensions of package 0" x 0" x 0"
Write your own review of Under the Sea Jigsaw Puzzle (24 pc). 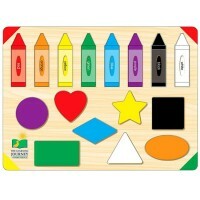 Rating: 5 by Lindsey, RI fabulous pictures. 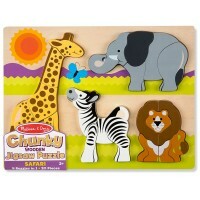 Rating: 5 by Jodi, PA Great quality! 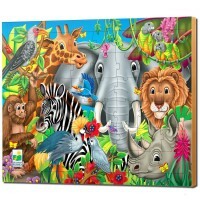 Rating: 5 by Lindsey, RI easy storage, and the kids love the pictures.